Welcome to the PA AAA Federation’s “Advanced Agent Service” training course, which covers many motor vehicle title and registration procedures. Agent Services are required to be under contract with the Pennsylvania Department of Transportation to process motor vehicle transactions for the public. Advanced Agent Service training is required for employees who complete motor vehicle transactions to assure they understand the Pennsylvania Department of Transportation forms and title/registration procedures. We hope this training course will be beneficial to all Agent Service employees who take it. This course can be used as training for new or experienced employees and a refresher for any employee who needs it. The Advanced Agent Service training class that PennDOT requires must be four hours long. 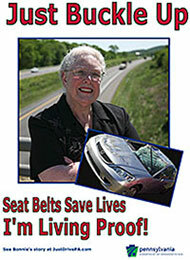 This course is approved by PennDOT and the PA AAA Federation has been approved as an authorized Agent Service trainer. The fee to take this on-line course is $98.00 per person. The only option to pay for the on-line course is with a credit card (Visa, Master Card, American Express or Discover Card). Please sign up one person at a time to take the on-line course. The shopping cart is not designed to sign up more than one student at a time when some students need to take the basic course and other students the advanced courses. Please do not change the number in the shopping cart. After the PA AAA Federation is notified that credit card payment has been received and approved, we will e-mail a User-ID log-in and password to the person taking the course. It is essential that a valid e-mail address is available to receive the User-ID log-in and password. The PA AAA Federation will make every effort to e-mail the User-ID log-in and password within three days and often sooner, to the e-mail address provided to us, after we receive notice the credit card payment was approved. If you do not receive an e-mail within three days which contains a link to the on-line course, the User-ID and password, please check your spam or junk e-mail folder, or call the License department at 717-909-2870 (Monday – Friday 8:00 am to 4:30 pm) or send an e-mail inquiry to agentservicetraining@aaapa.org. Who should attend an Advanced Agent Service Training course? Advanced Agent Service training is required by PennDOT every two years for employees that work for an agent service, complete motor vehicle forms and is under contract with PennDOT. For more information review the “Agent Service Training” fact sheet on PennDOT’s website. Employees with less than one year of experience in completing motor vehicle forms that work for an agent service with have a three year contract with PennDOT must attend a Basic Agent Service training class within one year from date of hire and preferably sooner or may take an on-line Agent Service training course that was certified by PennDOT. Subsequently, the agent service employee must attend an Advanced Agent Service training class (or take an approved on-line training course that was certified by PennDOT) every two years after he/she receives the initial basic agent service training or sooner, if desired. NOTE: A new agent service business that is applying for a five year contract with PennDOT must present a Certificate of Completion or letter of completion for each agent service employee who will be completing motor vehicle forms, with the contract proposal that will be submitted to PennDOT, showing the employees who will be completing motor vehicle forms have attended an agent service training class or taken an online agent service training course. Throughout the course you will find examples of completed motor vehicle forms that you can refer to and compare to the instructions of how to complete the forms. We strive to provide the most current information and welcome comments you have regarding the training course. Subjects and forms for the Advanced Agent Service training course will change when forms/procedures have been revised and we are notified by PennDOT to make changes. At the end of each lesson the student will find a quiz that is automatically graded after answering the questions. We recommend the student completes the quiz after each lesson. The quiz scores do not count toward passing the course. The review/quiz questions and answers will help the student learn more about motor vehicle forms/procedures, are a review of the lessons completed and may be completed as often as desired. After you receive the answers for the quiz, click on the “next” button at the top of the page to continue in the course. The person taking the on-line course has three months to complete the course after the email is sent that includes the User-ID login and password to take the on-line course. If you do not complete the course all at one time, bookmark the next lesson as a “favorite” webpage in your browser. Do not bookmark a quiz in the course. Instead, bookmark a webpage within a lesson, or the beginning of the next lesson in the online course. To bookmark the online course, go to the top left of the computer screen, click on Favorites > Add to favorites > Add a favorite. Most, but not all browsers will allow you to bookmark a webpage. If you bookmarked the online course and are ready to resume the course, go to the “Favorite” center on your computer, select the “favorite” webpage that you bookmarked for the online agent service course, and enter your User name and password in the “Connect to www.aaapa.org” box. You should be directed to where you left off in the online course. The online course can be bookmarked several times as a “Favorite” until you finish and pass the online course. If you did not finish the course in one sitting, and did not bookmark the online course as a “favorite” webpage, or your browser would not save the online course as a “favorite”, you must start at the beginning of the course, use the pull down bars and click the next buttons to resume at the lesson where you left off to finish the course. Final Assignment – There are 15 multiple choice questions in the Final Assignment which are automatically graded. A passing grade of 80%, or 12 out of the 15 questions is required to obtain a passing grade for the on-line course. If you have not finished taking the course after the three months and need additional time to take the course after the three month timeframe, please contact the License department at 717-909-2870 (Monday – Friday 8:00 am to 4:30 pm) or send an e-mail inquiry to agentservicetraining@aaapa.org. What to do after you pass the course? After you pass the on-line course it will be necessary to print the Final Assignment that shows a passing grade and the completed Un-Sworn Statement. Mail both documents to: PA AAA Federation, Attn: License Manager, 600 N. Third Street, Harrisburg, PA 17101-1154. Upon receipt of the Final Assignment and the Un-Sworn Statement, we will mail a Certificate of Completion to the person who took and passed the on-line course. Who do I contact if I have additional questions after completing the course? If you have any questions, please contact the License department at 717-909-2870 (Monday – Friday 8:00 am to 4:30 pm) or send an e-mail inquiry to agentservicetraining@aaapa.org.